Over the past few years, tech hubs have sprung up in cities across the globe, making it possible to start a high-growth company from almost anywhere, not just London or Silicon Valley. Tech hubs help make that happen—providing desks for entrepreneurs who are chasing their dreams, mentorship and educational opportunities for talented developers, and a vibrant community for innovative startups. 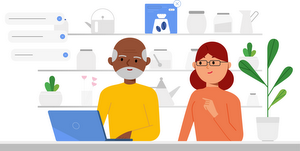 We started Google for Entrepreneurs to help foster entrepreneurship in communities around the world. Through our work in more than 100 countries, we’ve been incredibly impressed with the catalyzing impact that tech hubs have had: helping startups grow, and creating jobs in local communities in the process. So today we’re announcing a Tech Hub Network with seven partners, initially located in North America. 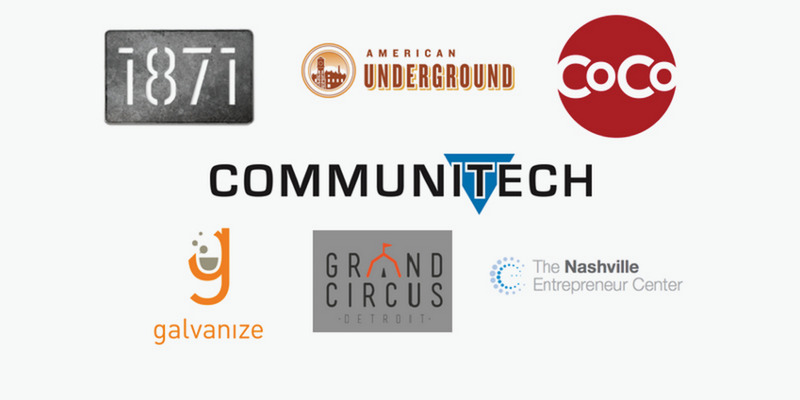 1871 (Chicago), American Underground (Durham), Coco (Minneapolis), Communitech (Waterloo), Galvanize (Denver), Grand Circus (Detroit) and Nashville Entrepreneur Center (Nashville) are all top notch spaces fueling entrepreneurship. We believe these hubs have pioneered a new approach to launching a business, and it’s our mission to help support them. We’re partnering to create a strong network, providing each hub with financial support alongside access to Google technology, platforms and mentors, and ensuring that entrepreneurs at these hubs have access to an even larger network of startups. We’re excited to exchange ideas and connect hubs with each other and with Google to have an even bigger economic impact on local communities.